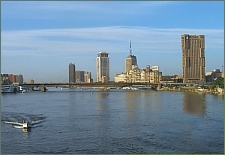 Water outlets are used for the discharge of liquid and gaseous substances at the base of rivers and the sea. 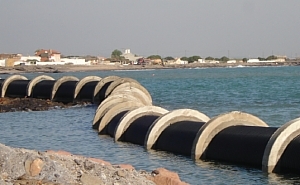 For the construction and operation of such pipelines KRAH MISR pipes offer considerable advantages, such as the elasticity of the pipeline and therefore optimum adaptation to the area, low weight, secure and strong jointing technology, seawater resistance and pipe stiffness exactly adapted to the respective requirements because the appropriate profiles are selected for every individual project. Profiled or solid wall pipes made of polyethylene or polypropylene are well suited for the manufacture of horizontal and vertical tanks. For other special constructions like chimneys, and wash towers KRAH MISR pipes offer all advantages regarding variety, precision, quality, and expandability. 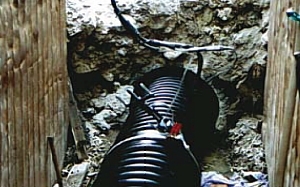 The re-construction of damaged sewer pipes by means of relining, pipe in pipe method, becomes more and more important. 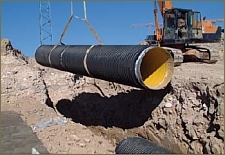 KRAH MISR pipes are very suitable for the relining process. 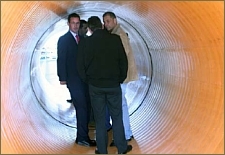 In addition to the common areas of application Krah pipes are also suitable for special projects like tunnels as ventilating pipes. 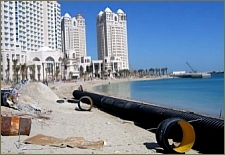 KRAH MISR pipe are corrosionresistant which is especially important for the chemical and biological industry.